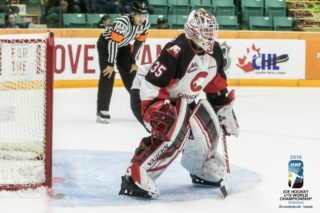 Prince George Cougars goaltender Taylor Gauthier will once again suit up for Team Canada. Earlier today, Gauthier was one of 22-players named to Team Canada’s roster for the 2018 Hlinka Gretzky Cup. 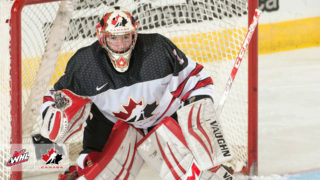 Gauthier and fellow WHL netminder Nolan Maier (Saskatoon) were the two goaltenders named to the roster; 11 WHL representatives were selected in total. The tournament begins Monday in both Edmonton and Red Deer, Alberta. The Calgary, Alberta, product played in 32-games in his rookie season in 2017-18, picking up eight wins. He was fifth in WHL rookie goaltenders in saves (847) and seventh in minutes played (1,668). Gauthier was drafted by the Cougars 10thoverall in the 2016 WHL Bantam Draft. 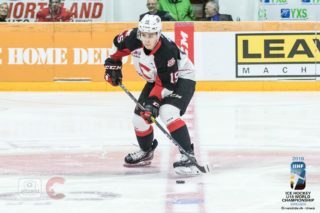 Gauthier already has international experience, as he played for Team Canada White at the 2017 World Under-17 Hockey Challenge in Dawson Creek and Fort St. John, BC. Jansen Harkins was the most recent Cougar to play for Team Canada at the Hlinka Gretzky Cup, winning gold in August of 2014. The tournament was recently renamed the Hlinka Gretzky Cup. 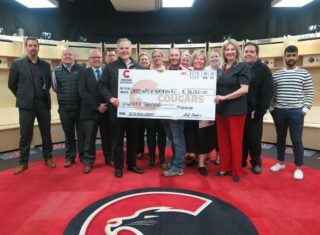 It was formerly known as the Ivan Hlinka Memorial Tournament.